RESEARCH TRIANGLE PARK, NC – July 20, 2011: Lenovo today announced its first family of tablets – the IdeaPad Tablet K1 for consumers, the ThinkPad* Tablet for business customers, and the IdeaPad Tablet P1 for home and office use. The new Lenovo IdeaPad Tablet K1 and ThinkPad Tablets are the Company’s first mobile internet devices featuring the Android^ 3.1 platform, and the IdeaPad Tablet K1 is the industry’s first Android-powered tablet certified to deliver Netflix* video streaming. The Android-powered Lenovo tablets also provide access to more than 250,000 apps in Android Market^ as well as apps tested for the Lenovo device in the Lenovo App Shop. 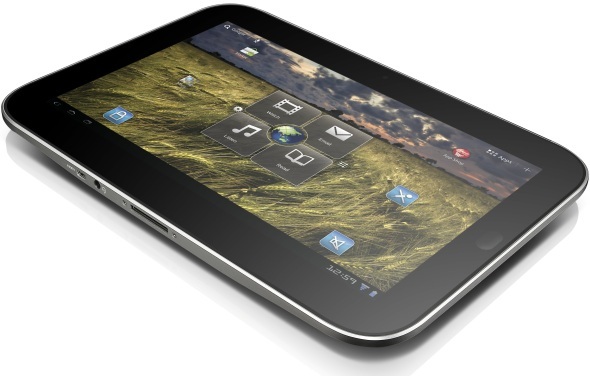 “Tablets are extremely personal technology devices. That’s why we’ve created a family of tablets that has something for everyone, including entertainment-friendly features and content for consumers, or business-friendly features to enhance productivity for professionals as well as security and manageability for IT managers,” said Liu Jun, senior vice president and president, Mobile Internet Digital Home business group, Lenovo. “So whether it’s the IdeaPad for entertainment or the ThinkPad for business, we have listened to our customers and are delivering Android-powered tablets designed to meet their particular needs." More out of the box: The Android-powered Lenovo IdeaPad Tablet K1 is preloaded with more than 40 apps from partners like Netflix, Amazon*, Adobe, Electronic Arts**, Rovio*, Zinio*, Dataviz*, and others (over $50 in value), including favorites like Need for Speed**Shift, Angry Birds*, Kindle* reading app and Documents to Go. More social networking: Users can access an entire network of friends and social sites all in one place, with Lenovo's exclusive SocialTouch* app, which effectively creates a one-stop social connection. And since one picture is still worth a thousand words, the Lenovo IdeaPad Tablet K1 comes with a two-megapixel front-facing and a five-megapixel rear-facing webcam. Offering a 10.1” WXGA (1280x800) display weighing a mere 1.65 lbs, the ThinkPad Tablet also comes with an IPS display for a 178-degree viewing angle and scratch-resistant Corning* Gorilla* Glass. This business-class device keeps professionals connected, productive and entertained while they’re away from the office and their home. In addition to the hundreds of thousands of apps available in Android Market, IdeaPad Tablet K1 and ThinkPad Tablet users have access to apps in the Lenovo App Shop -- a unique app marketplace, which features popular applications that have been tested specifically for Lenovo IdeaPad and ThinkPad Tablets. The Lenovo App Shop offers apps within a broad range of categories including music, movies, books, productivity, social networking, weather, printing and more. The 32GB model IdeaPad Tablet K1 is priced at $499, and can be ordered in the U.S. starting July 20, 2011, through select business partners and retail stores nationwide, or online at www.lenovo.com/tablets. The 16GB ThinkPad Tablet is priced at $479 without the digitizer pen, and at $509 including the digitizer pen, for Wi-Fi models. The 32GB ThinkPad Tablet (Wi-Fi model) with digitizer pen is $589. There is also an optional keyboard portfolio carrying case available for $99. 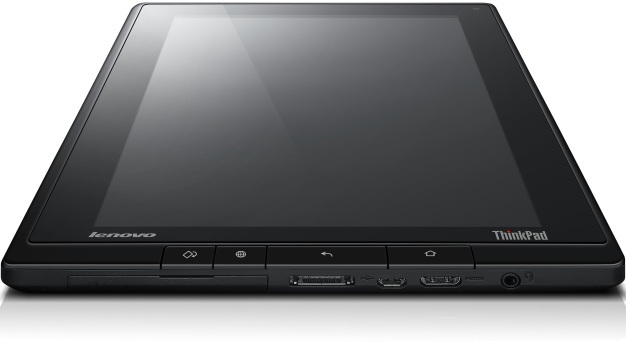 At a later date, shortly after launch, ThinkPad Tablets with 3G will become available. ThinkPad Tablet can be ordered in the U.S. starting August 2, 2011, online at www.lenovo.com/tablets, or through business partners nationwide. The product will be generally available in the U.S. in August 2011 and generally available worldwide during the third quarter 2011. ^ Android and Android Market are trademarks of Google, Inc.
** EA and Need for Speed are trademarks of Electronic Arts, Inc.